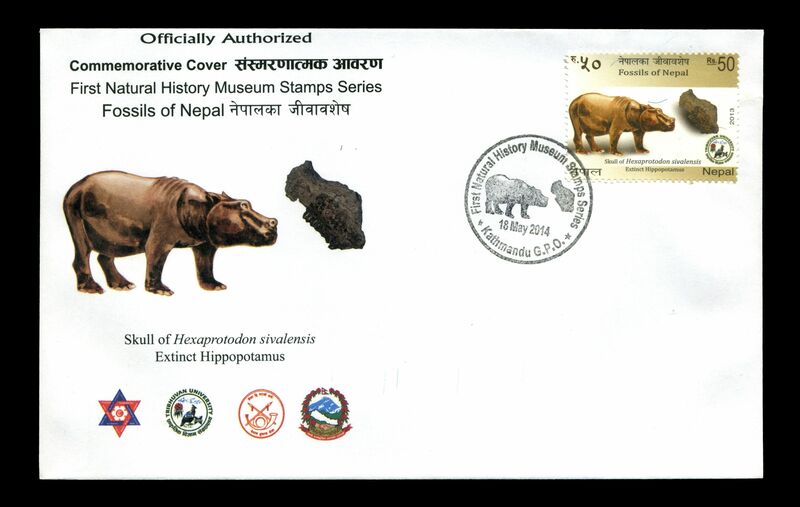 31.12.2013 "Fossils of Nepal" 07.07.2015 "Prehistoric Elephants of Nepal" 22.09.2017 "Prehistoric Mammals of Nepal"
[A1] Fossils of all prehistoric animals depicted on stamps 2013-2017 are on show in this museum. 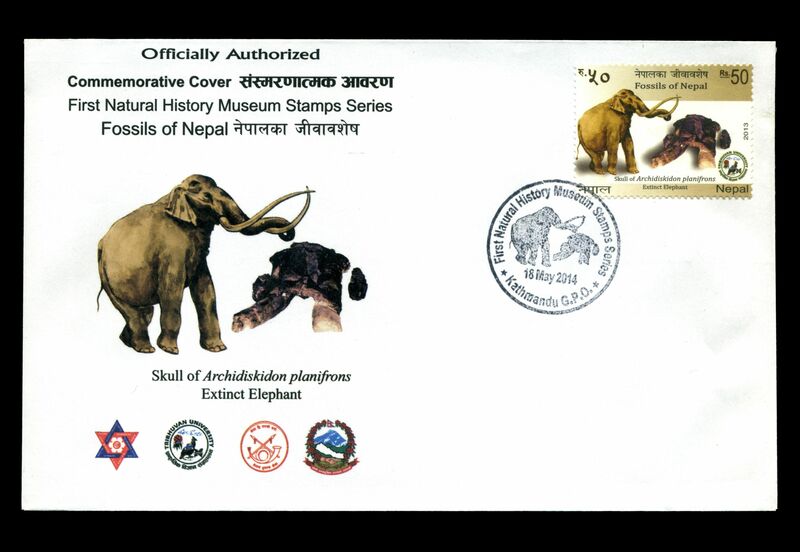 [PM1] In 2014 Post Authority of Nepal in cooperation with Natural History Museum (NHM), issued a set of 4 stamps "fossils of Nepal". 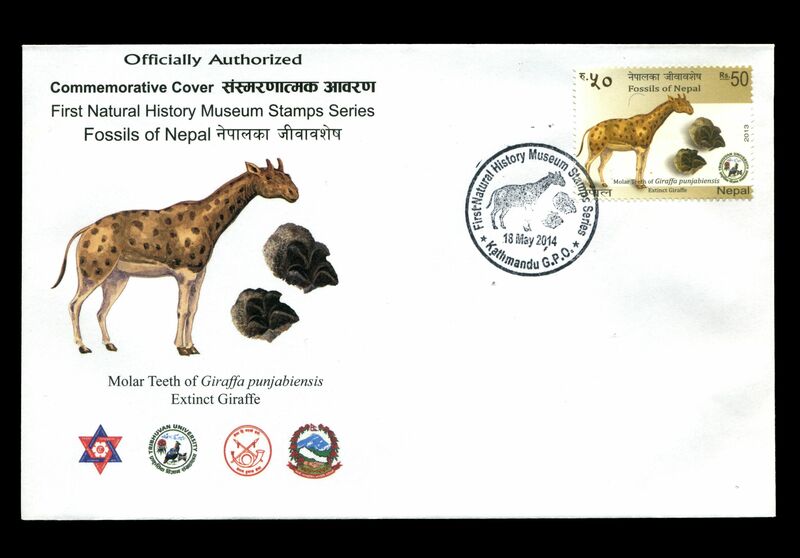 Thes stamps shows fossils and reconstructions of prehistoric animals who leaved on a territory of the country in the past. 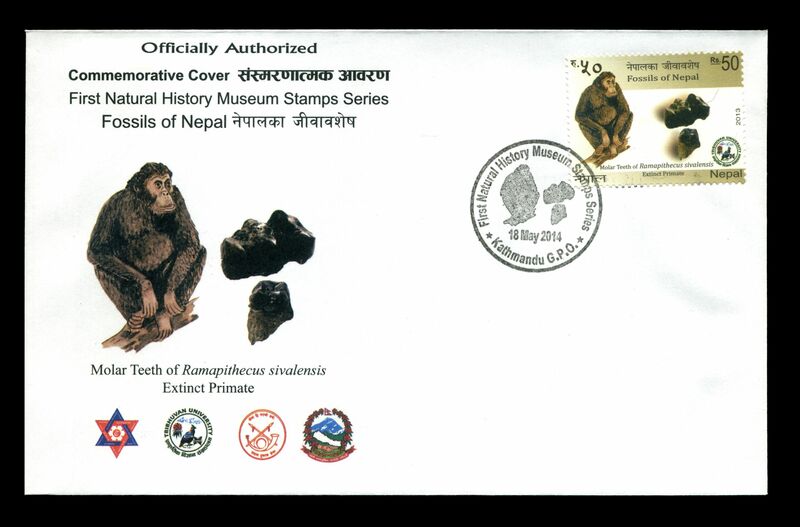 Officially it issued on December 31, 2013, but arrived post office of Nepal much later, in Spring 2014. Official FDC is canceled with GPO post mark dated 31.12.2013. Later on Natural History Museum issued its own "FDC" - commemorative covers canceled with special postmarks.